In an increasingly litigious world, your company’s officers and board of directors are personally at risk to incur financially crippling lawsuit liability, making it difficult to attract top-tier talent. These vulnerabilities to risk may arise from the very qualities—initiative, vision, and business strategy—for which you hired them. Directors’ and officers’ liability insurance provides your executives personal liability and financial loss protection from wrongful acts committed—or allegedly committed—in their capacity as corporate officers. Aon’s Financial Services Group (FSG) will help you design and procure a directors’ and officers’ liability insurance policy that fits with your business, by identifying your corporate and personal exposures to liability. We then create a program that incorporates risk mitigation recommendations as well as the broadest directors and officers insurance coverage available. Although your company may be legally permitted to cover personal liability costs resulting from an executive’s activities, indemnification may not apply to every situation. In some cases, the financial liability is the sole responsibility of that executive. directors’ and officers’ liability insurance fills these gaps, protecting personal assets. 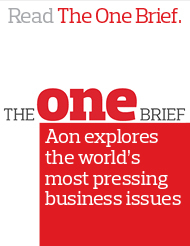 For nearly 20 years, Aon has championed the progression of directors’ and officers’ liability insurance. In fact, Aon professionals first developed many directors and officers products that are now industry standards. As a result, Aon FSG has been a consistent leader in the management liability marketplace since directors and officers products were introduced, developing extensive expertise and experience in this area. Launched in 2006, LARP is committed to provide consulting services on executive risk product development as well as claims advocacy and research on current business and legal trends affecting trustees, directors and officers.